Route of Magellan. First around the World is part of the Tentative list of Portugal in order to qualify for inclusion in the World Heritage List. 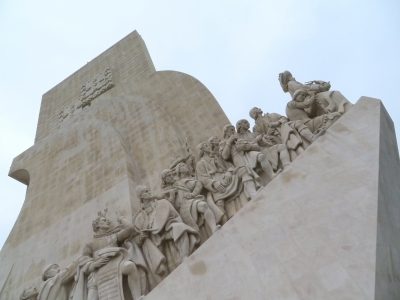 The picture above is from the Monument to the Discoveries (1960), located adjacent to the Tower of Belem. Will this route's tangible sites be based on commemorative crosses, monuments, and statues that are located in each country included? Or will this route include already inscribed sites? In 2022, we'll witness the 500 year anniversary of the completion of this journey, which changed the world. Could this be the year this nomination moves forward? With its complexity and transnational cooperation required, I doubt everything can be submitted by January 2021.